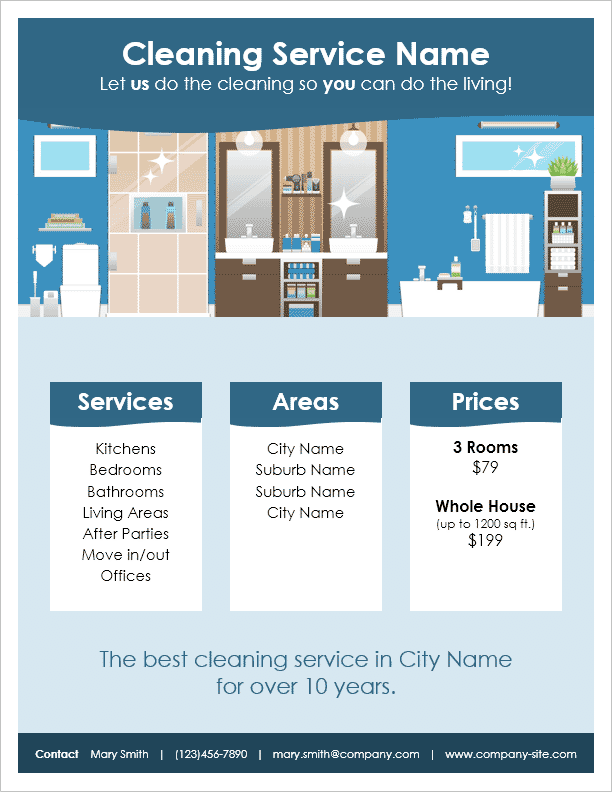 If you are starting a cleaning business, the most important thing you need to do is get some customers. 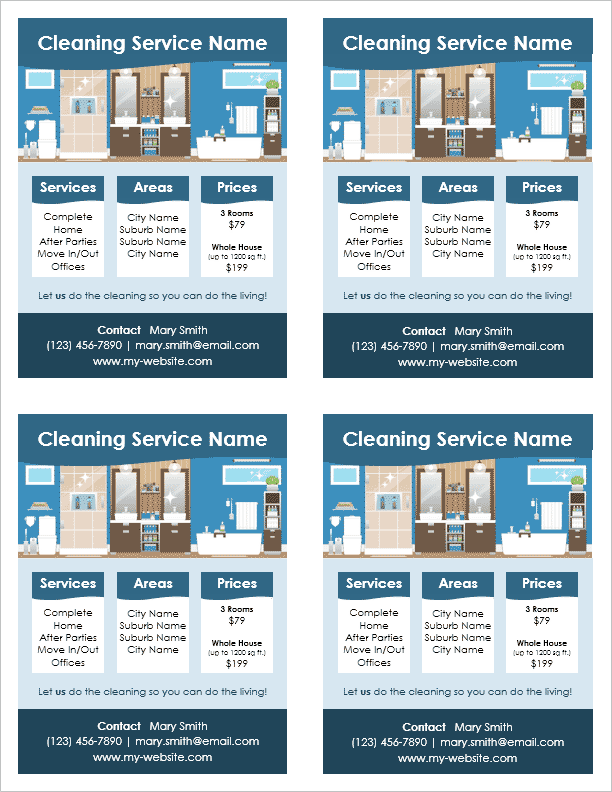 One tried and true method is to create a professional flyer for advertising your new service. You can network through family, friends, your neighborhood and local business areas, and share copies of your flyer like you would a business card. 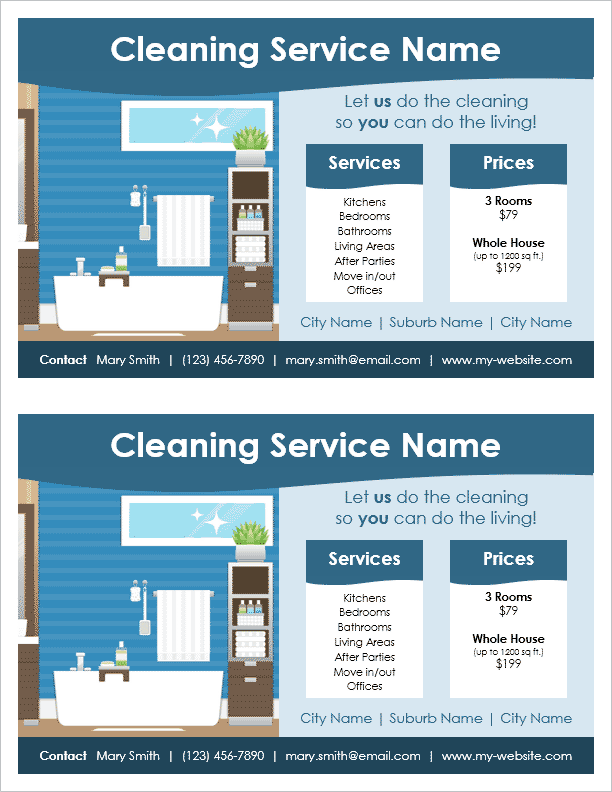 We've created three variations of this cleaning service flyer, for printing different sizes of flyers on standard 8.5x11 paper. You can print these with your own color printer or take the file to a local print shop. To easily change the theme colors and fonts in Microsoft Word, go to Design > Theme and select from the many built-in options. How to Start a Cleaning Business at Entrepreneur.com - This article talks about what it takes to start and run a cleaning business. 13 Secrets for Making Your Cleaning Business a Success at Entrepreneur.com - Another useful article that lists tips for growing your business and staying competitive. The 6 Fastest Ways to Get Cleaning Contracts at Online-Cleaning-Coach.com - A short article to help you generate new customers for your cleaning business.